(CNN) - The Environmental Protection Agency confirmed Monday the content of internal EPA emails that appear to contradict EPA Administrator Scott Pruitt's claim he didn't know about or authorize big pay raises for two close aides. However, an EPA spokeswoman said there was no evidence in the emails that Pruitt knew about the pay raises. The Atlantic reported last Monday that Pruitt requested pay raises for "two of his closest aides," in March, a request the White House declined, according to a source with knowledge of the discussion. EPA then used an obscure provision to give the staffers, Sarah Greenwalt and Millan Hupp, the raises. On Wednesday, Pruitt told Fox News, "I did not know that they got the pay raises until (Tuesday)." The EPA spokeswoman confirmed to CNN an email exchange, also first reported by The Atlantic, between Greenwalt and the human resources department at the EPA. She previously worked with Pruitt in the Oklahoma attorney general's office. In one of the emails, EPA's human resources department tells Greenwalt that it processed her title change. When Greenwalt asks what her salary increase was, the department told her there was no increase in her salary. Greenwalt responded that the administrator indicated she should have one, referring to a salary increase. "There's no way to prove what she said is true; a lot of people say the administrator said this or that," said the EPA spokeswoman, who reached out to CNN to explain the emails. The spokeswoman confirmed she saw the emails and confirmed the content of the emails. No specific dollar amount for the raise was mentioned in the email exchange, according to the spokeswoman. "While she may claim that the administrator knows about her raise, there is no email proof that I've seen, or communications or documents from Scott Pruitt to HR or to (Greenwalt) about that particular raise," the spokeswoman said. On Monday, EPA chief of staff Ryan Jackson said in a statement that he, along with other EPA officials, is taking responsibility for the raises and that Pruitt "had zero knowledge of the amount of the raises, nor the process by which they transpired." The EPA spokeswoman confirmed the existence of a second email from the liaison between the White House and EPA to the agency's human resources department expressing concerns from the White House about such significant raises, but noting that the administrator had indicated to move forward with it. In an effort to explain that email, the spokeswoman said despite the content of the second email, what that person really meant was "the administrator's office," not the administrator himself, decided to go ahead with the raises. 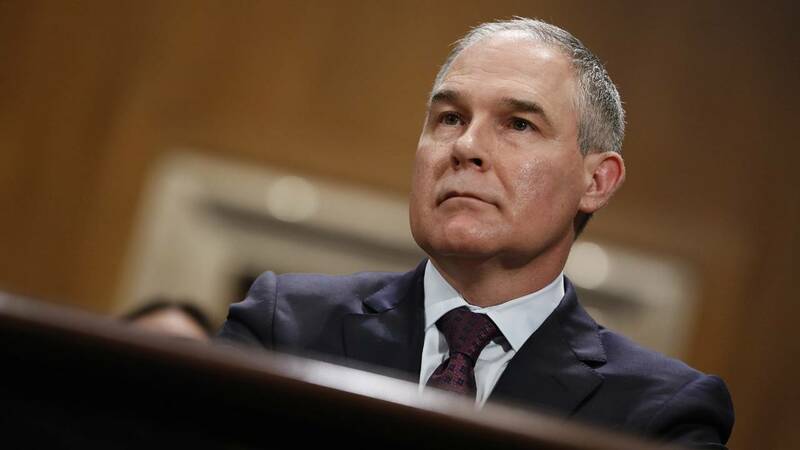 Pruitt has come under increasing fire in recent weeks as reports steadily uncover extensive spending on travel and other potentially major ethical lapses, including an agreement to rent a room in Washington for only $50 a night from a lobbyist couple whose firm lobbies the EPA. President Donald Trump said last Thursday he still had confidence in Pruitt.